West Spring Estate Phase 1 Scheme 2 is Strategically located at Orofun Town, Ibeju Lekki Lagos, sitting on 127 Acres of land, about 515062.732sqms and sharing boundaries with Living Stone Estate. 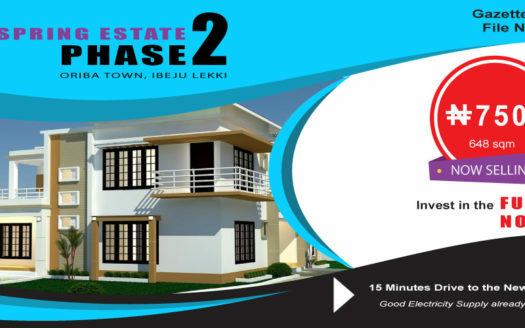 3 minutes drive to the Lekki free trade zone. 5 minutes drive to the New Lekki Sea port, the largest in West Africa. 3 minutes drive to Eleko Beach, the Atlantic Ocean, second largest in the world. 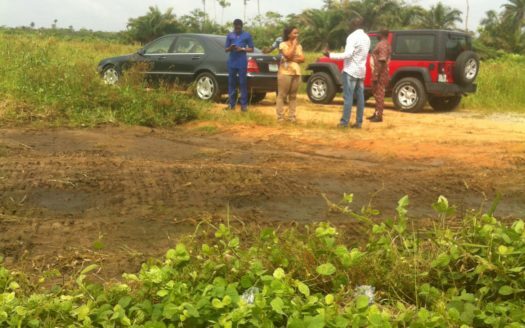 5 minutes drive to Dangote Industries. 10 minutes drive to pan African university. Peace Estate and so on.